Welcome to the Besco Tubular News Room. With our ever-expanding company, this is where we will keep you informed on all of our announcements, breaking news, upcoming events, and technology advancements. Besco Tubular is now on Facebook, Google+ and LinkedIn! Follow us to stay up-to-date on the latest news and information. 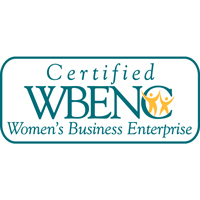 As a woman owned business, Besco Tubular has been a proud corporate member and supporter of the Woman’s Business Enterprise National Council (WBENC) for well over a decade. We look forward to continuing our support through 2015. Besco Tubular is honored to be a proud supporter of the Wounded War Hero. Since the inception of Besco, the Benton family has proudly donated its time and finances in support of the Wounded War Hero, the service members and their families. Please visit Wounded War Heros to contribute and show your support.